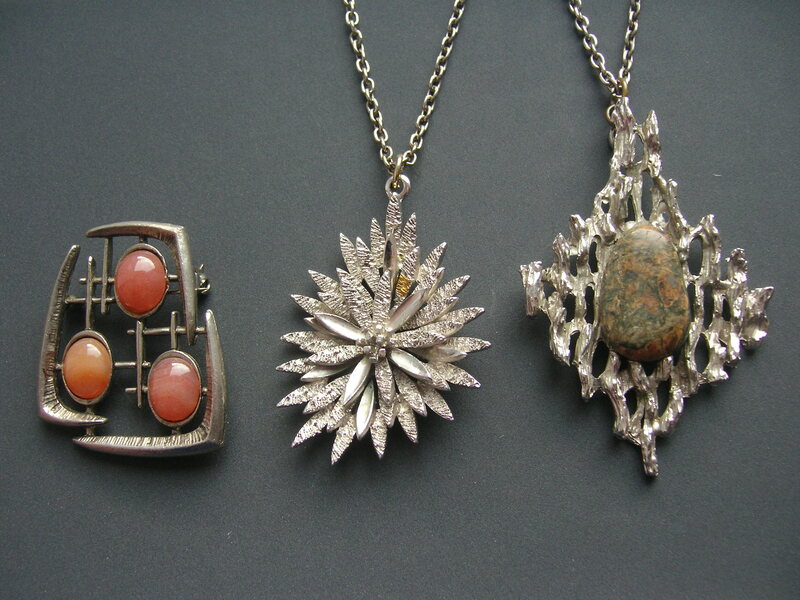 A few weeks ago I went to Hebden Bridge with my friend Rachel, where I bought a few pieces of costume jewellery from the 1950s and 1960s. But the numbers on the back don’t bring up anything related to costume jewellery or necklaces. I should point out that the gold spot on the necklace is my fault: I dropped some macaroni cheese all down my front (bump to mouth ratio mixup) and obviously didn’t get it all off. Little bit annoyed with myself that I’ve managed to ruin it slightly. I could see some of those little year seven fingers itching to touch it! It does seem to have that effect on people. 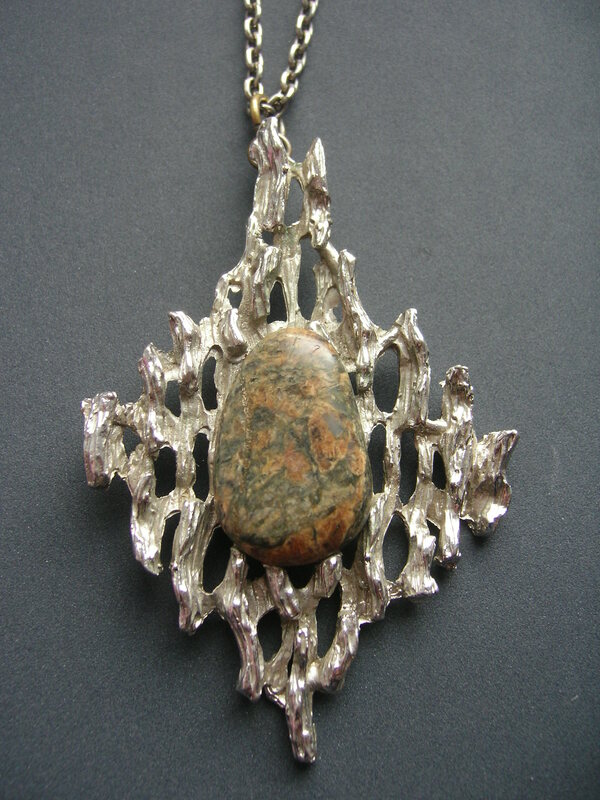 This kind of stone and molten metal combination seems to be quite a popular one for necklaces of the 60s and 70s. 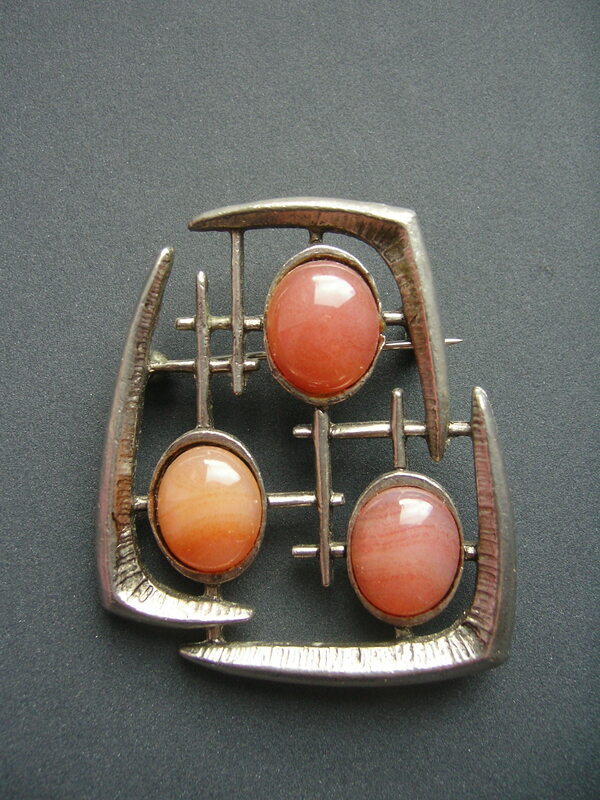 I’ve also got a brooch with a similar kind of design, which has unfortunately broken. Which reminds me, I need to get that fixed… along with the rest of my ‘broken bits’ drawers. 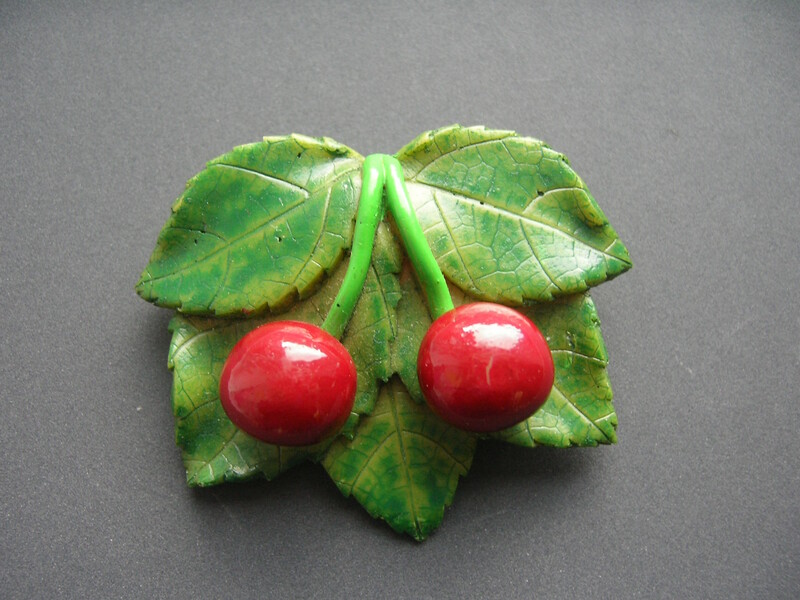 On our first INSET day on Monday I wore the cherries brooch. Three people commented on my ‘festive’ holly and berries brooch. Firstly, it’s cherries. Secondly, it’s nowhere near Christmas; I’m not that mad or desperate to leave! This one is most definitely my favourite of the bunch. 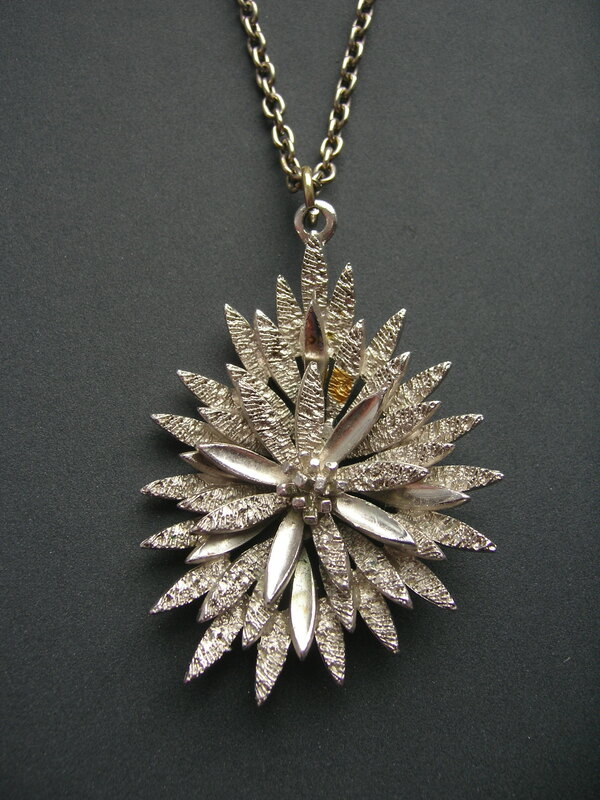 I think it’s probably slightly earlier in age, judging by the design, than the two necklaces. I would guess late Fifties, early Sixties? I really don’t know though so if anybody who reads this has any ideas or useful links, I would be most appreciative.